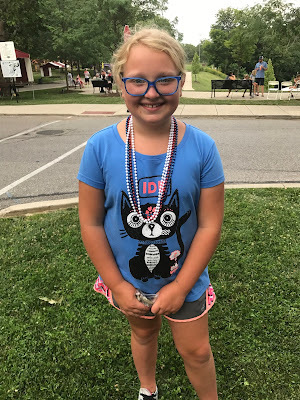 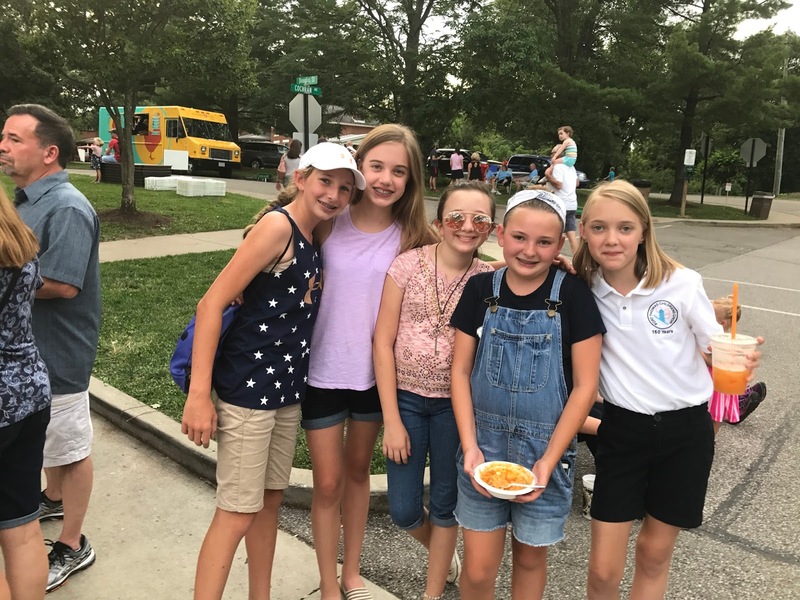 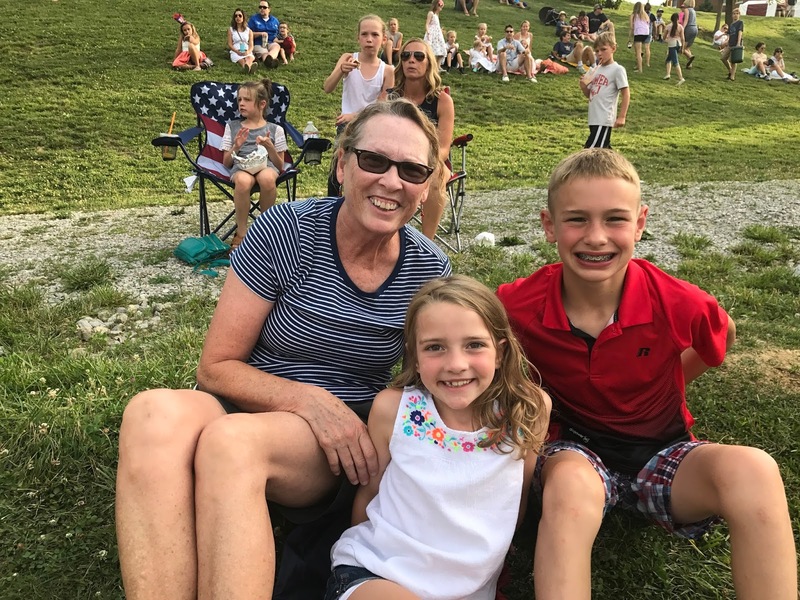 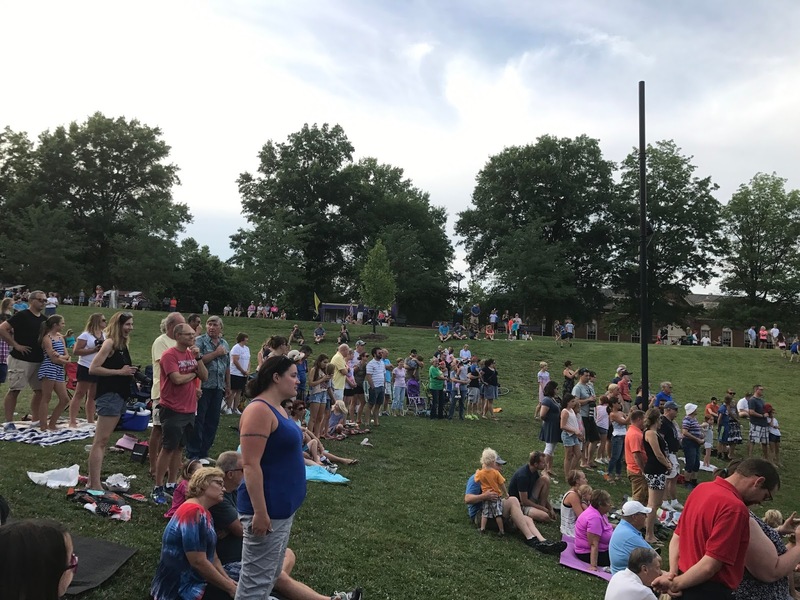 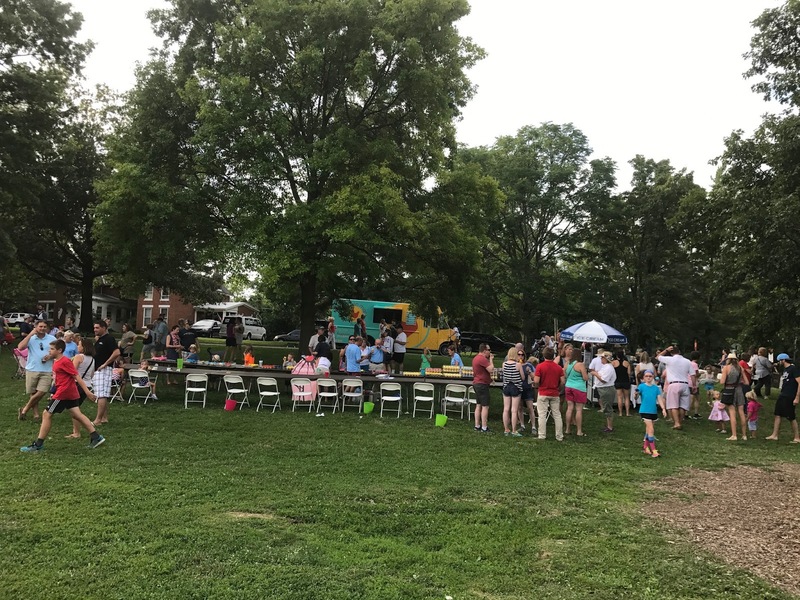 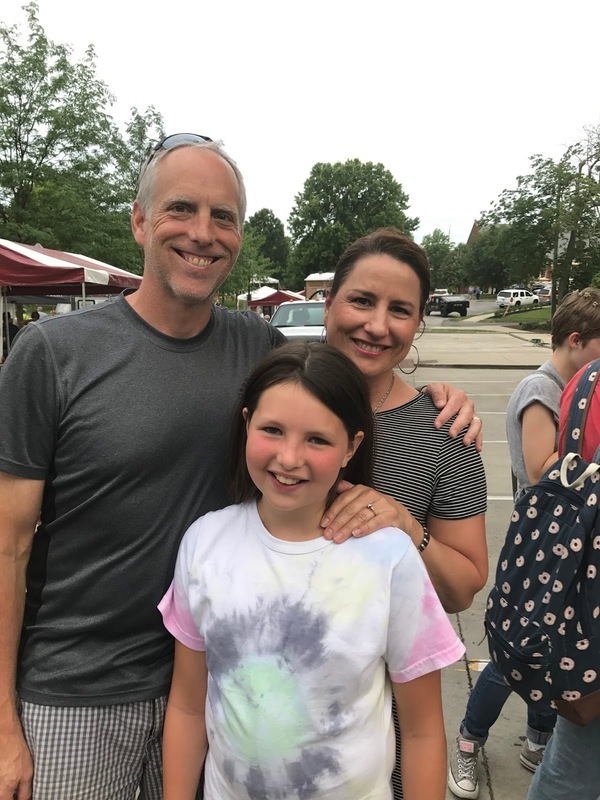 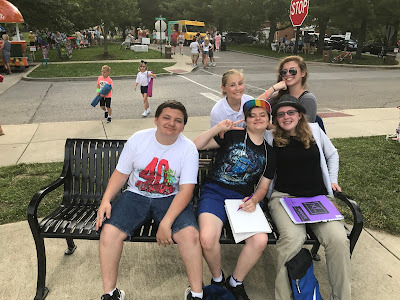 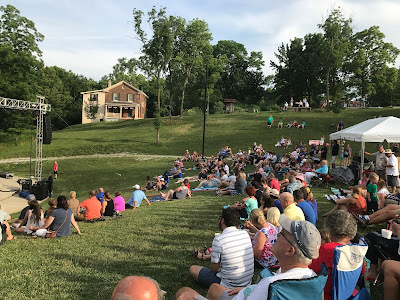 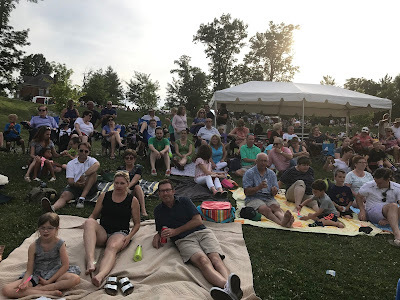 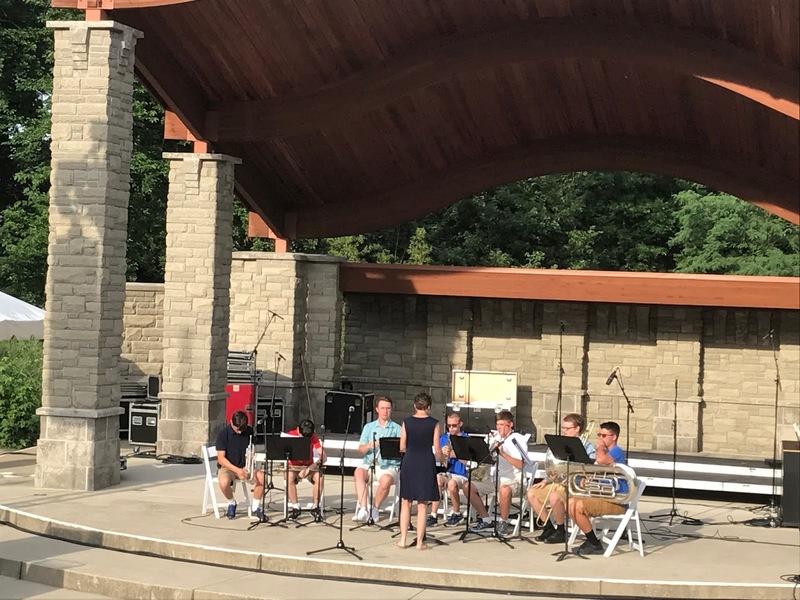 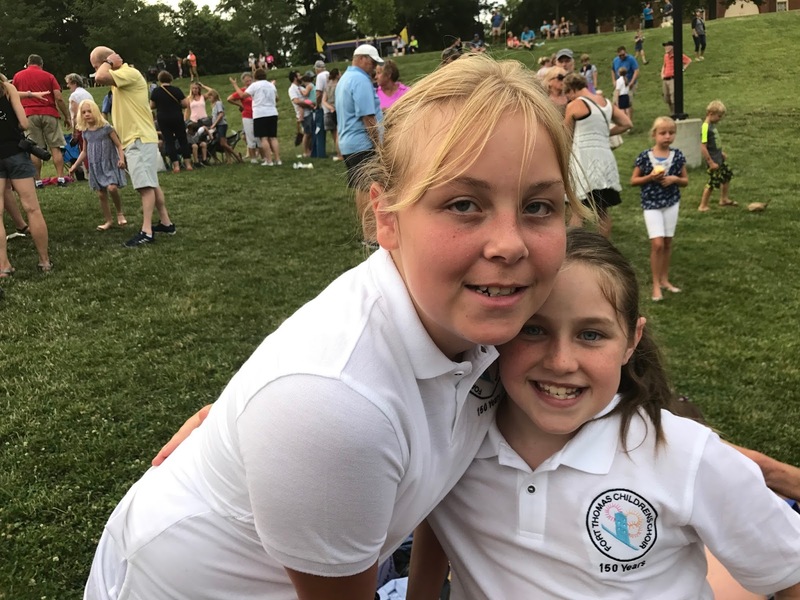 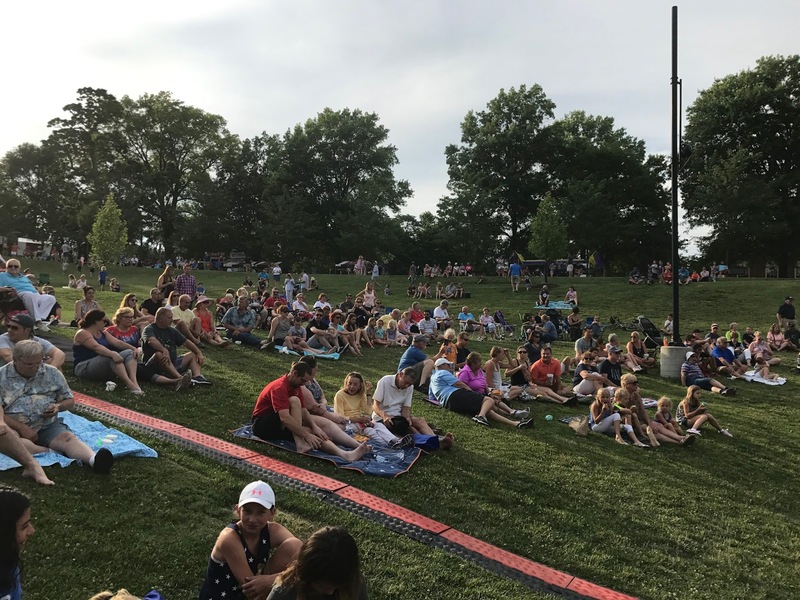 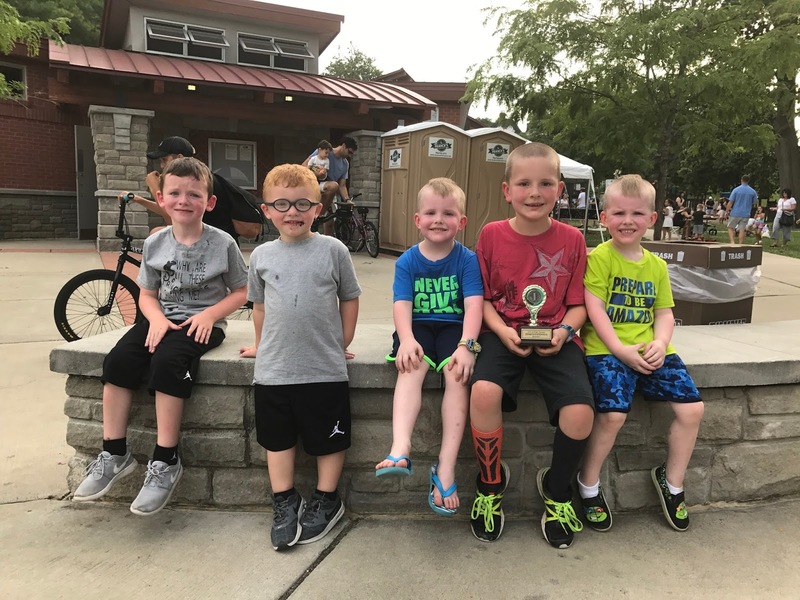 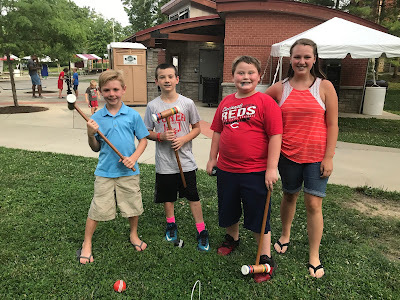 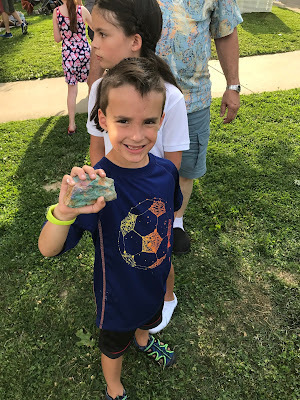 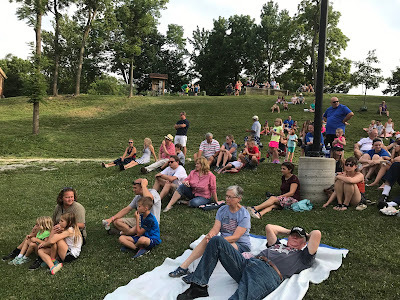 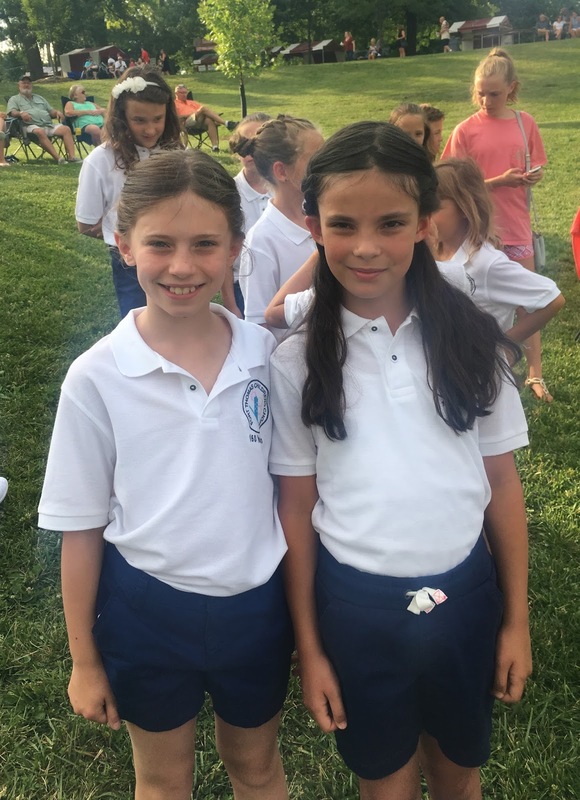 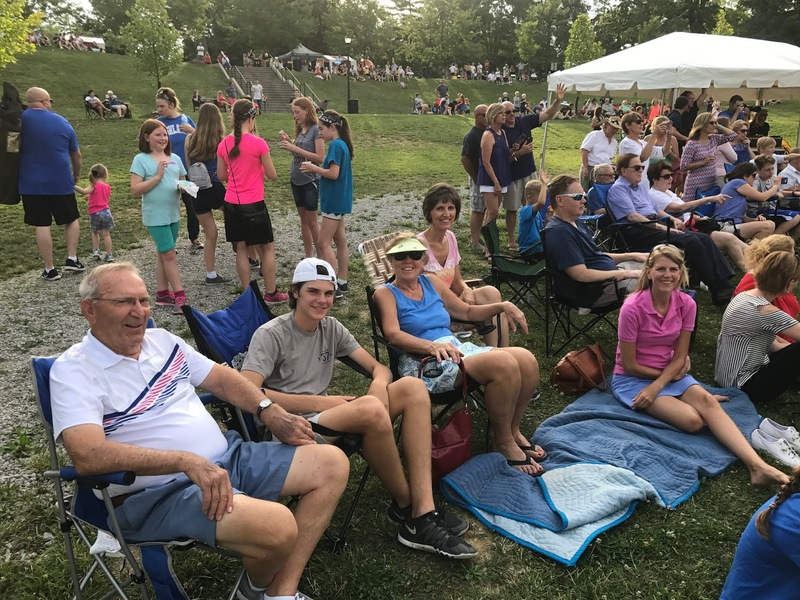 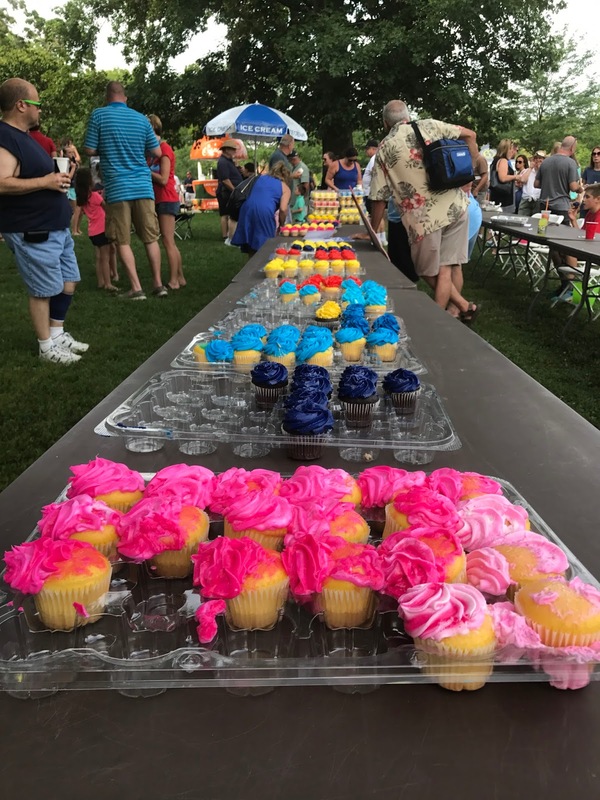 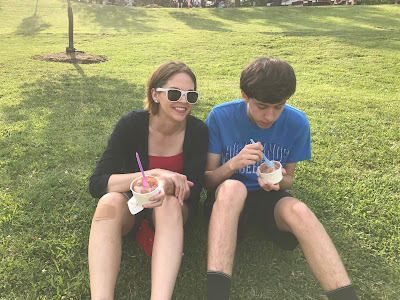 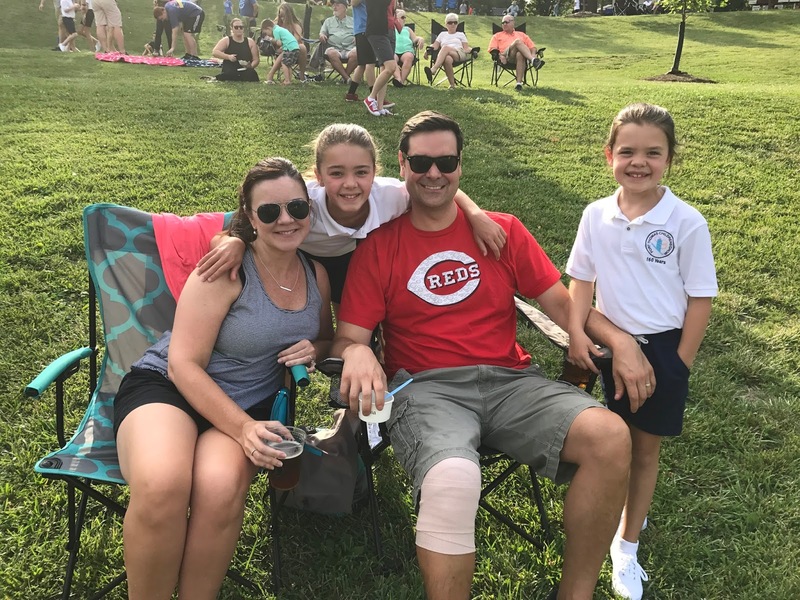 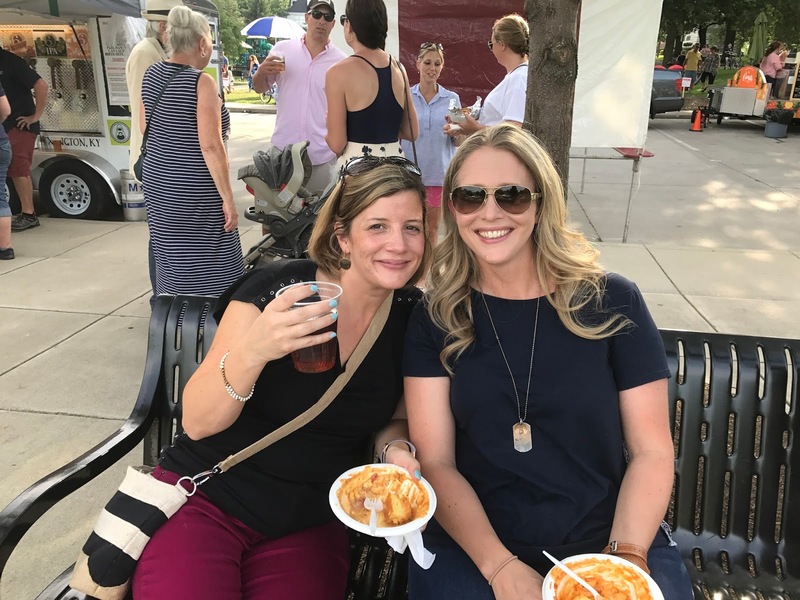 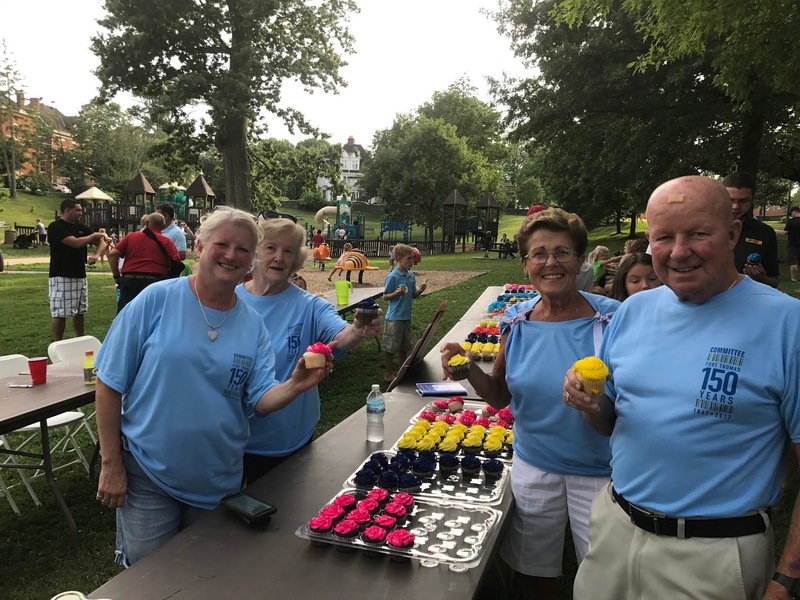 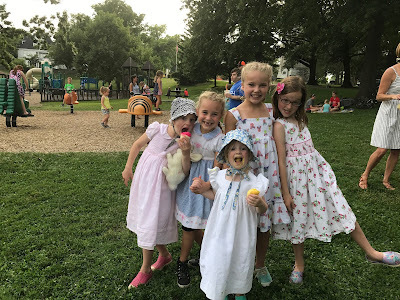 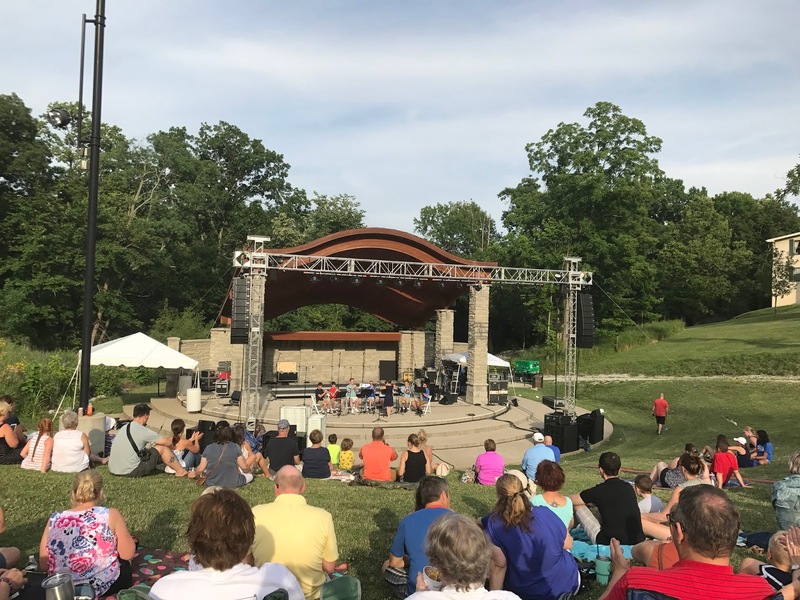 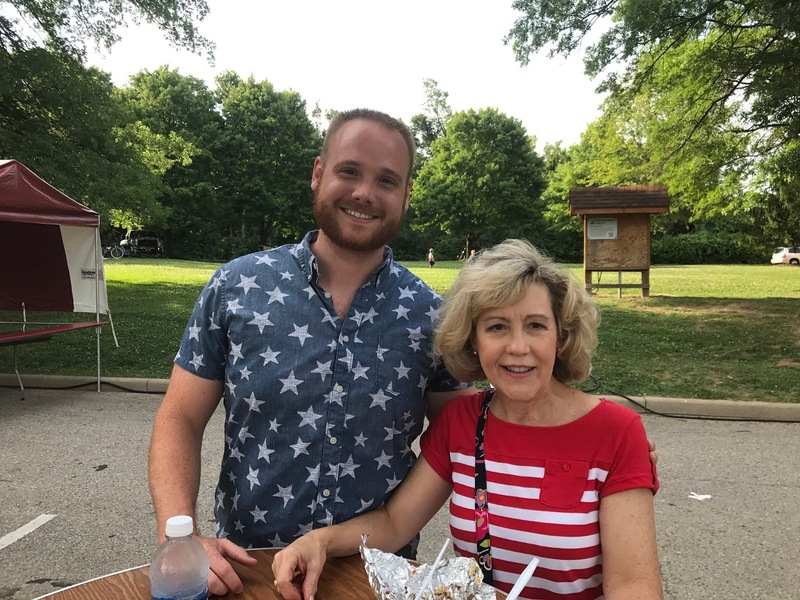 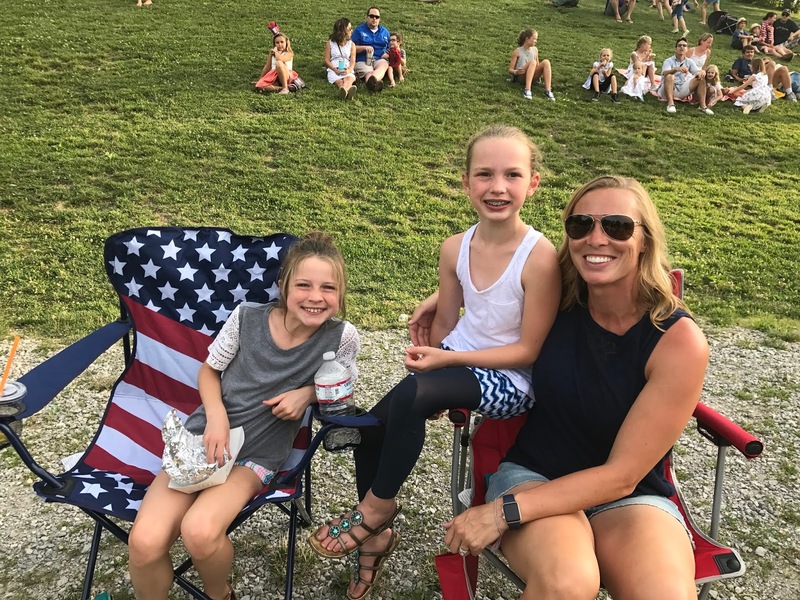 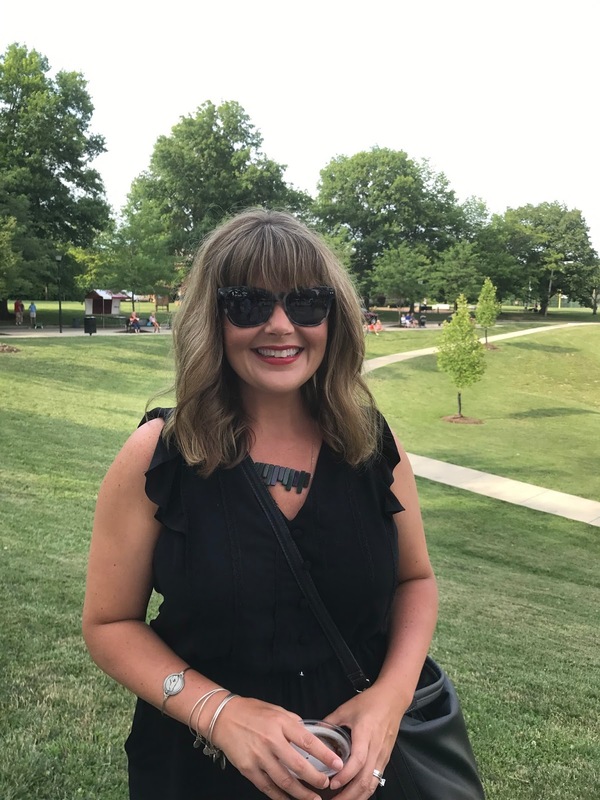 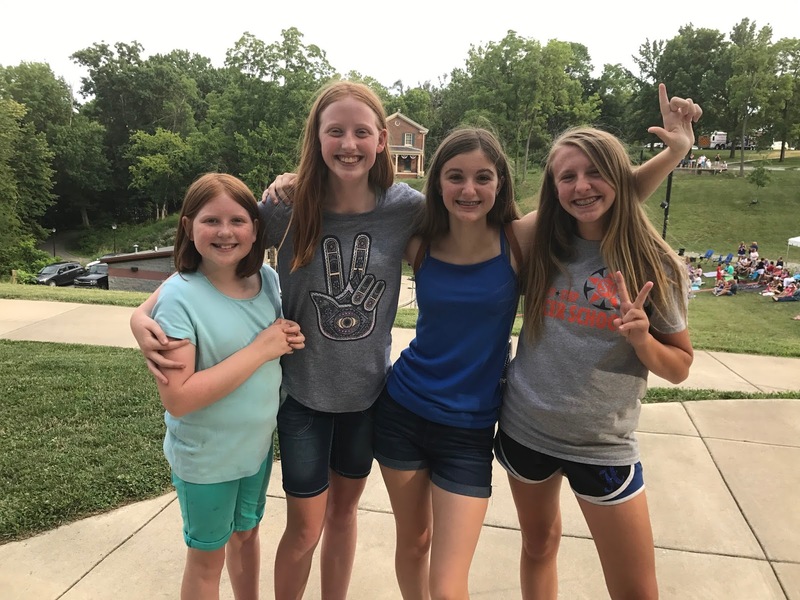 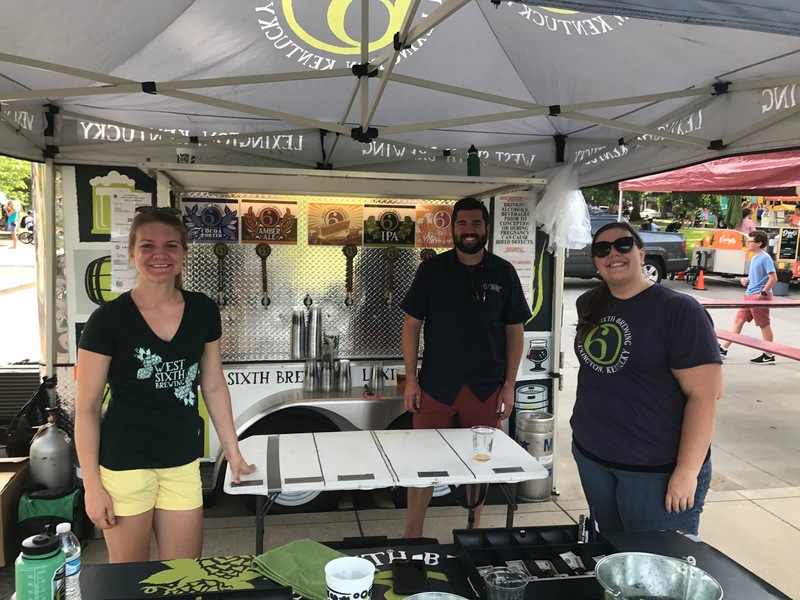 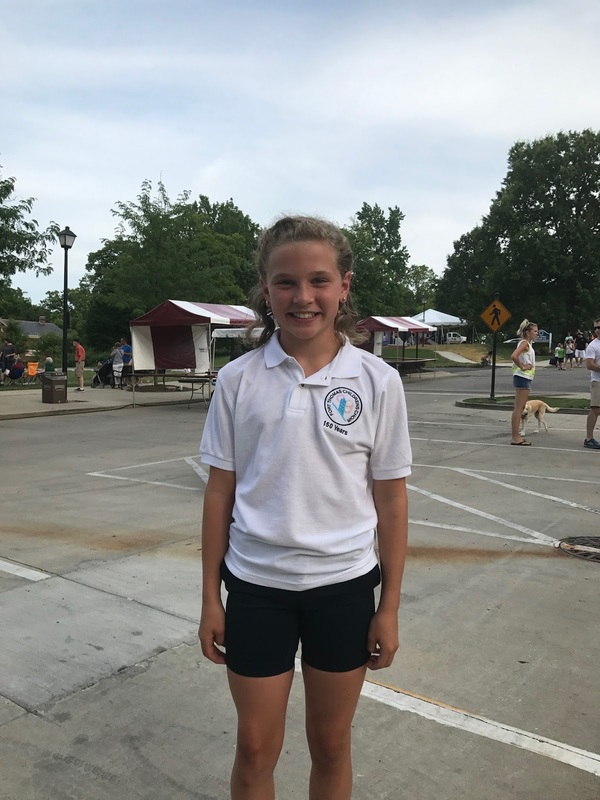 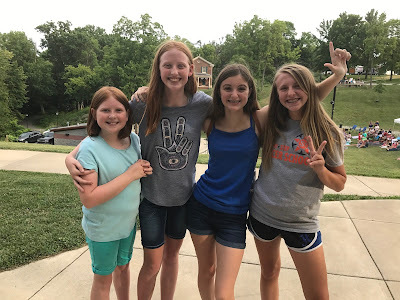 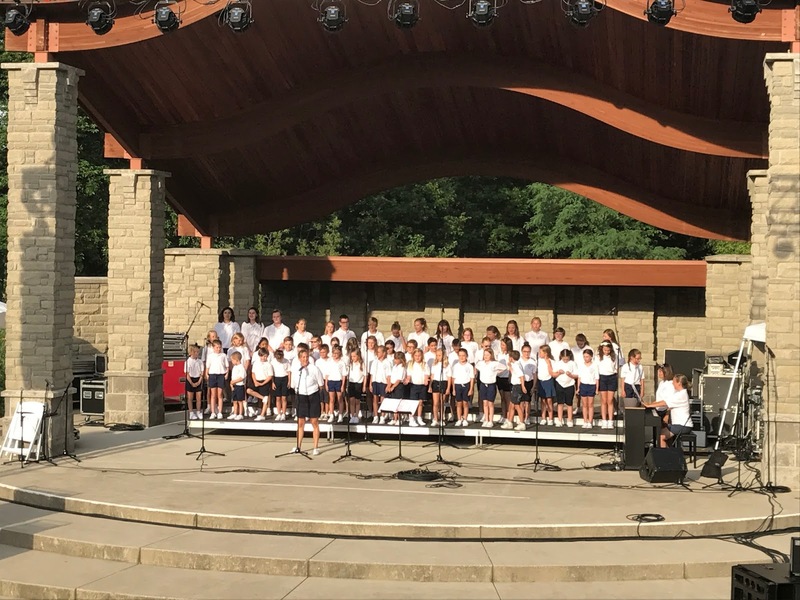 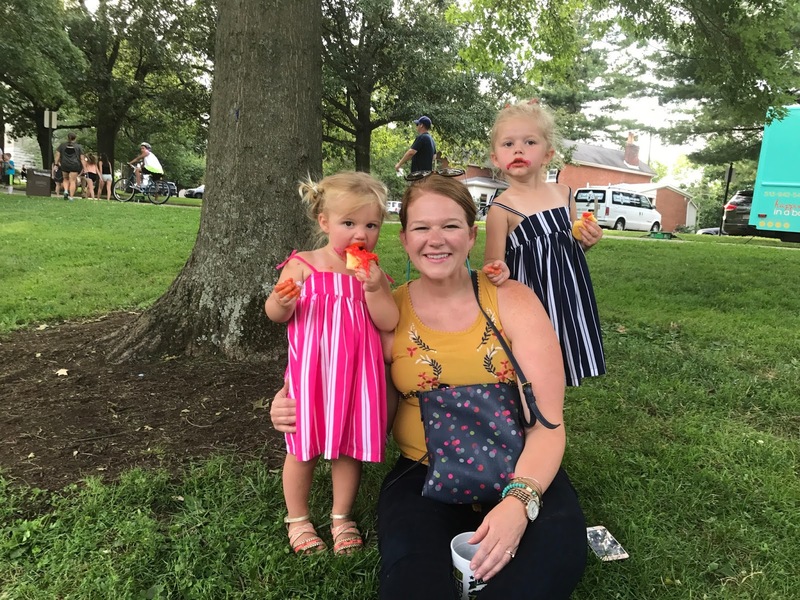 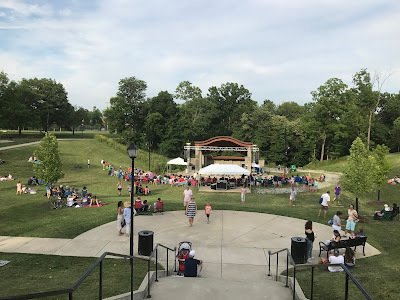 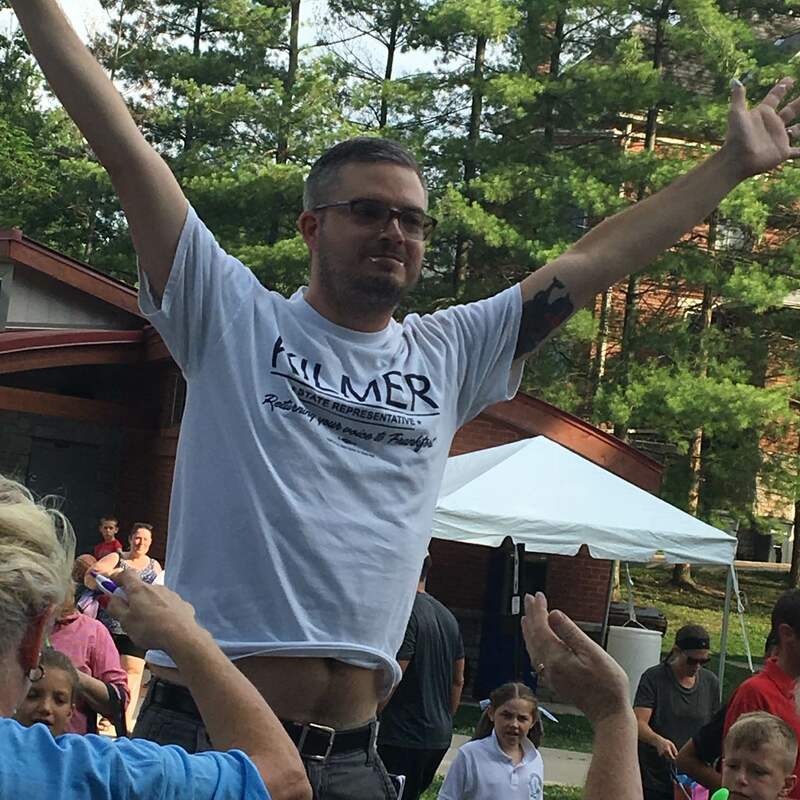 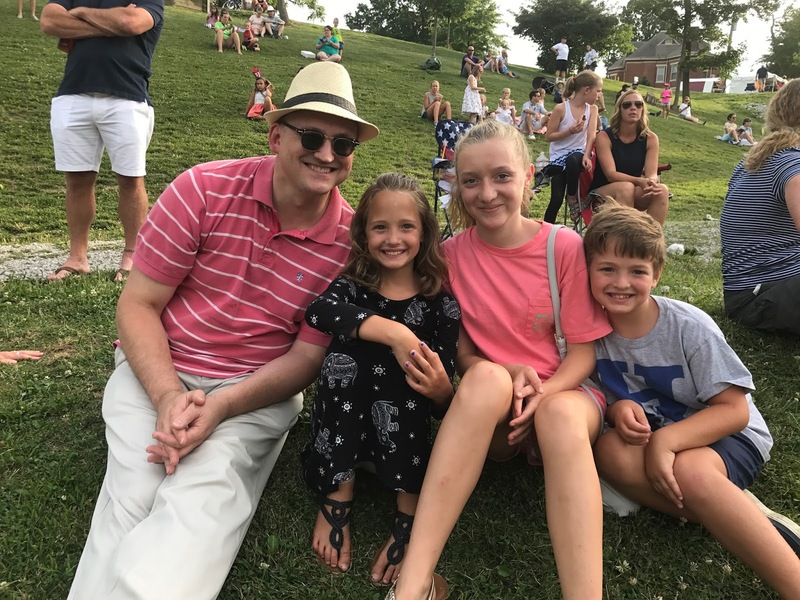 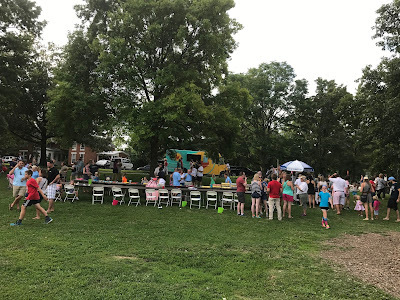 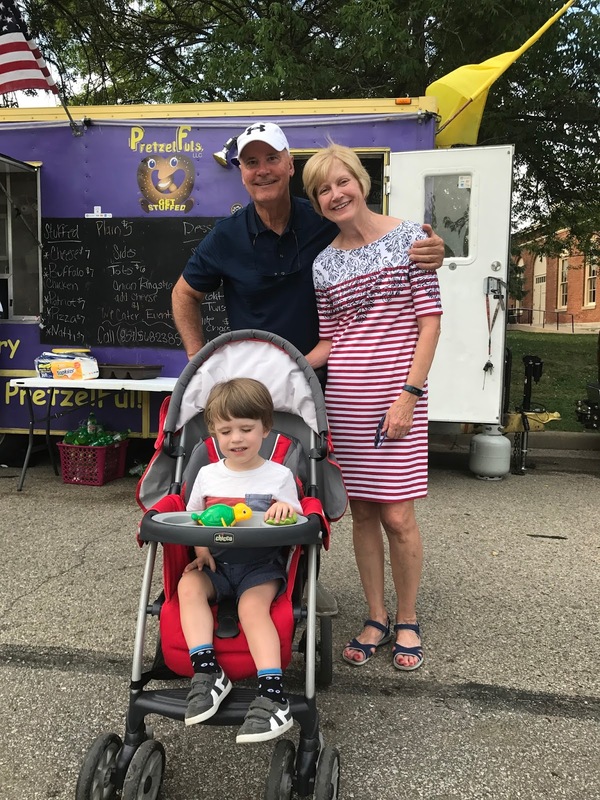 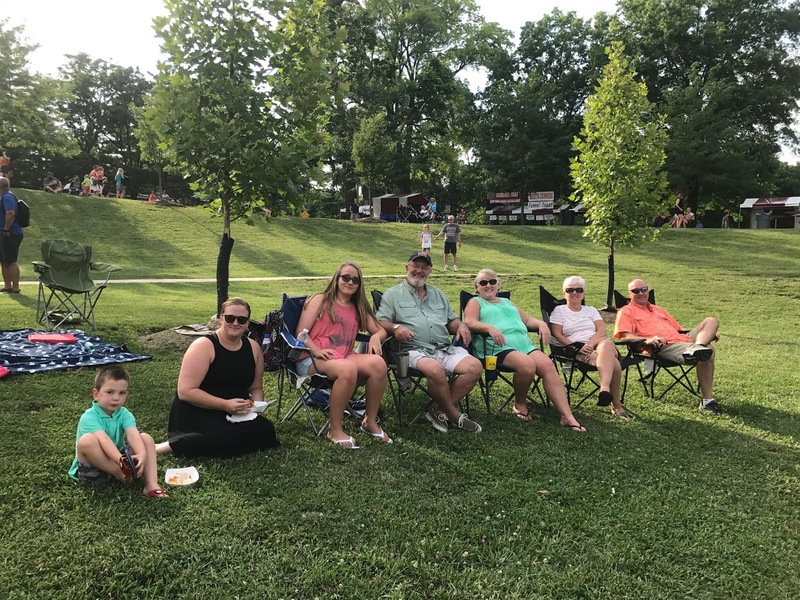 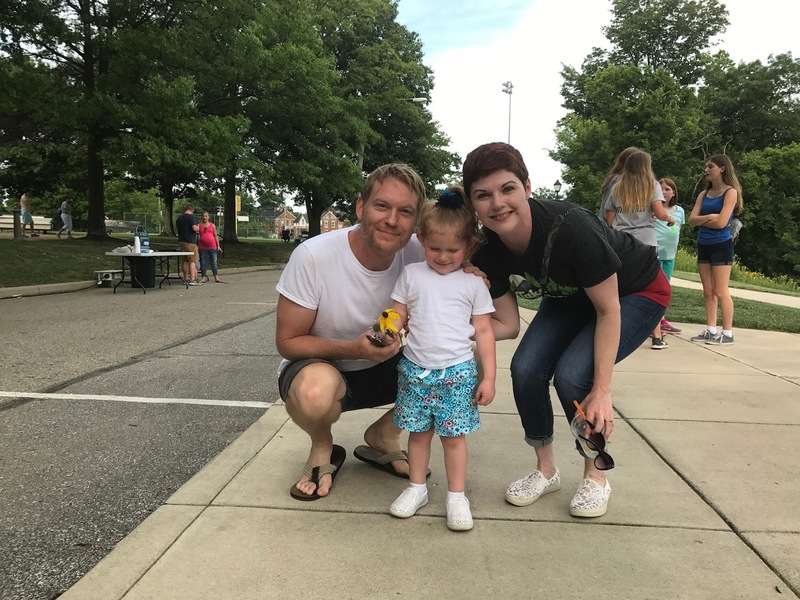 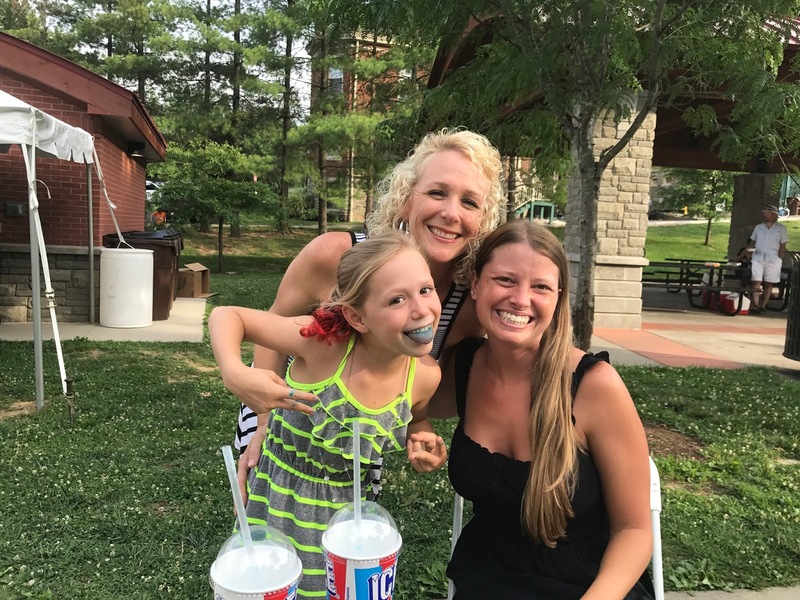 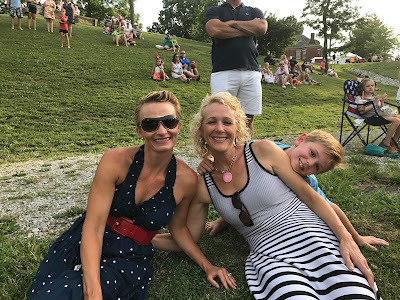 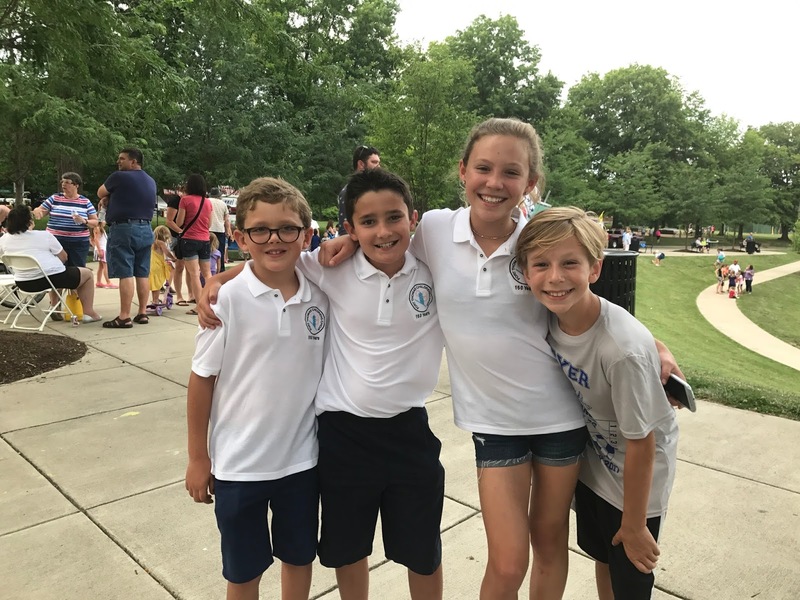 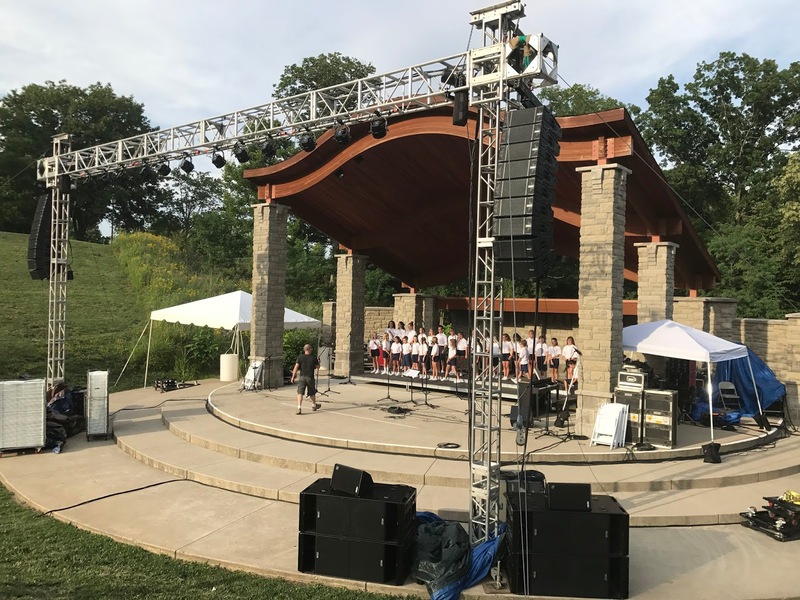 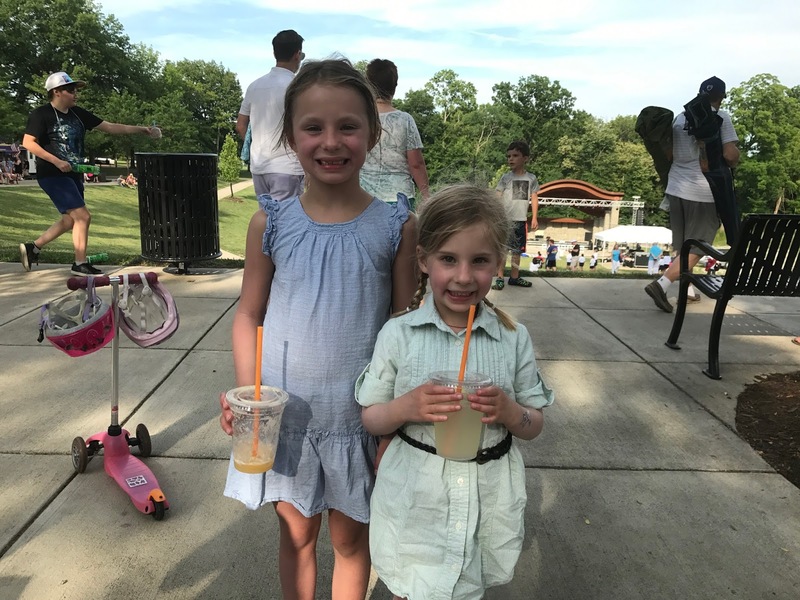 On Monday, Fort Thomas residents officially celebrated the city's 150th birthday with a seersucker bike ride, city-wide happy hour, cupcake decorating and eating contest, ice cream social, Highlands High School brass ensemble concert, Fort Thomas youth choir concert, and an InBocca Theater Production of "Pearl Bryan." The youth choir concert, led by Mary Scaggs, has been rehearsing every Monday night for months. 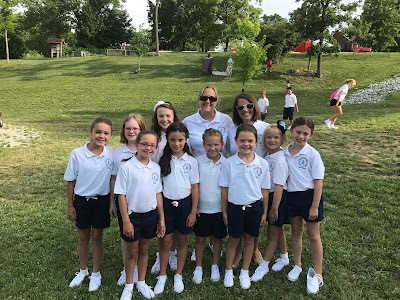 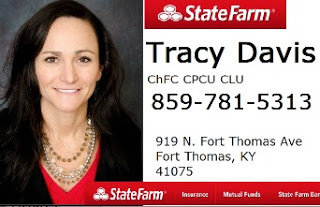 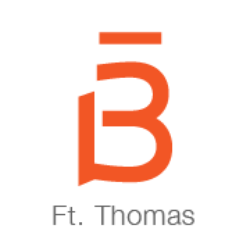 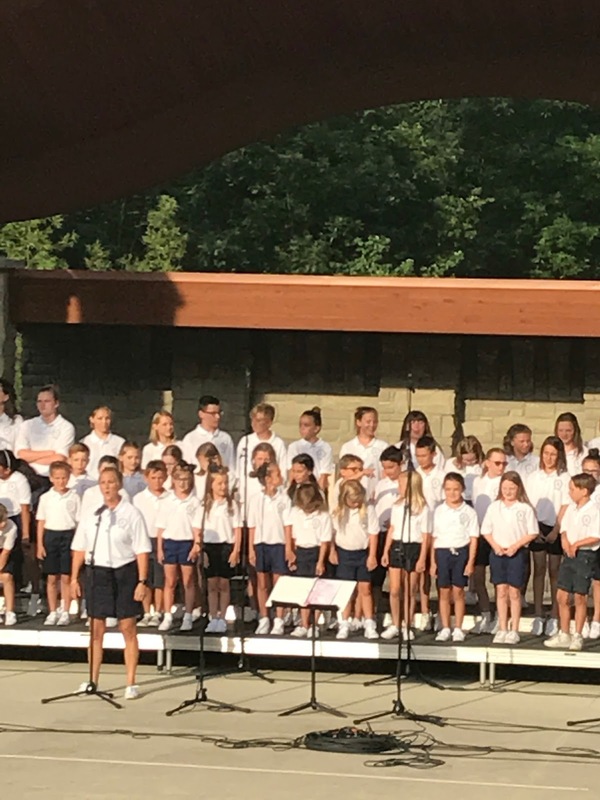 The 53 students, ranging in age from kindergarten to high school, are from the five Fort Thomas schools, St. Catherine, St. Thomas and homeschool students. 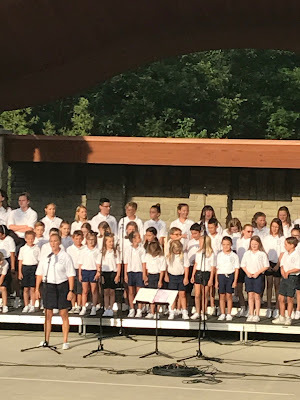 They sang "A Tribute to the Armed Services," "Blades of Grass and Pure White Stones," "We Honor You," "My Old Kentucky Home," "O, America" and "God Bless America." 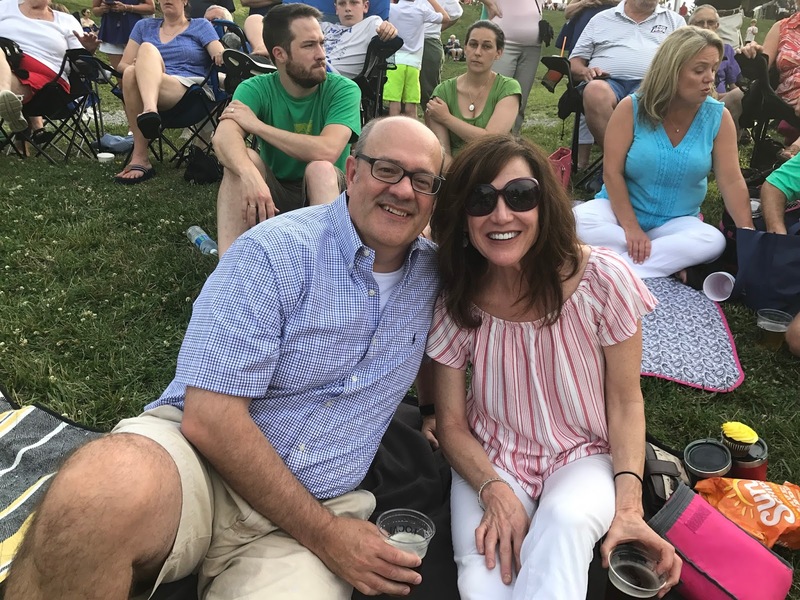 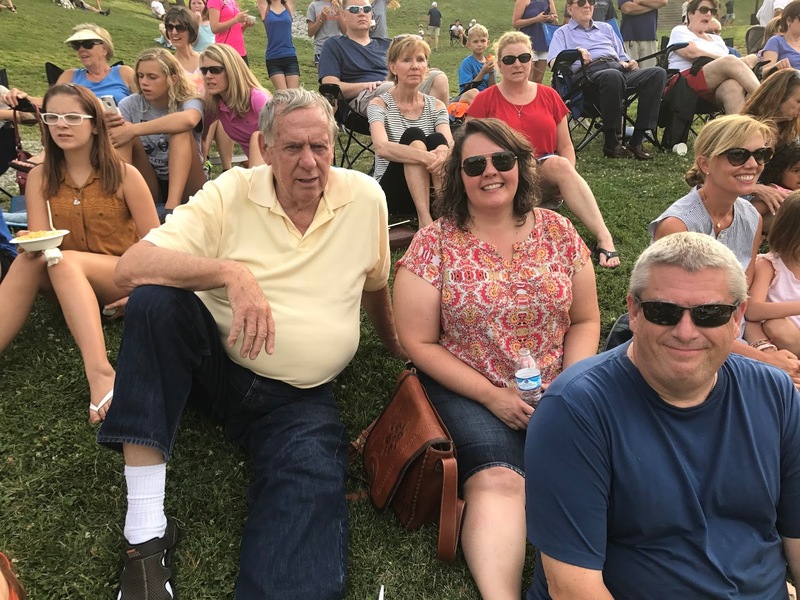 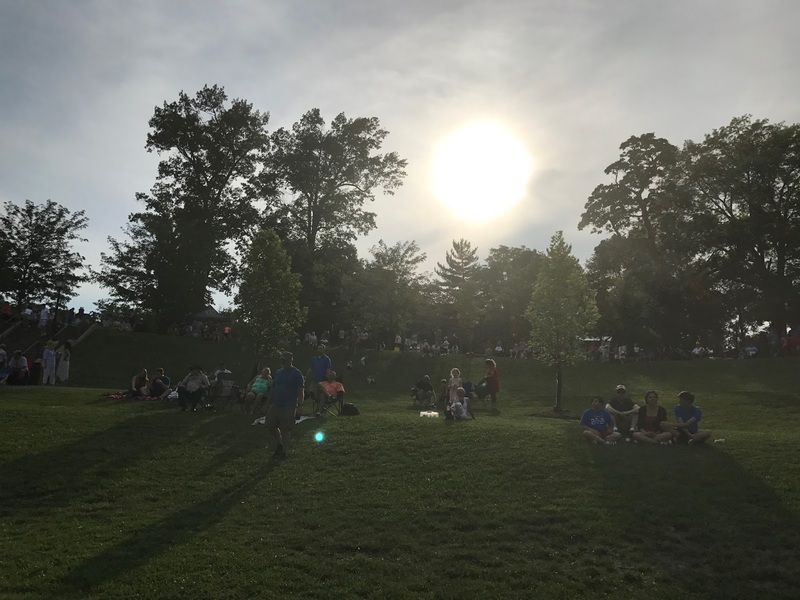 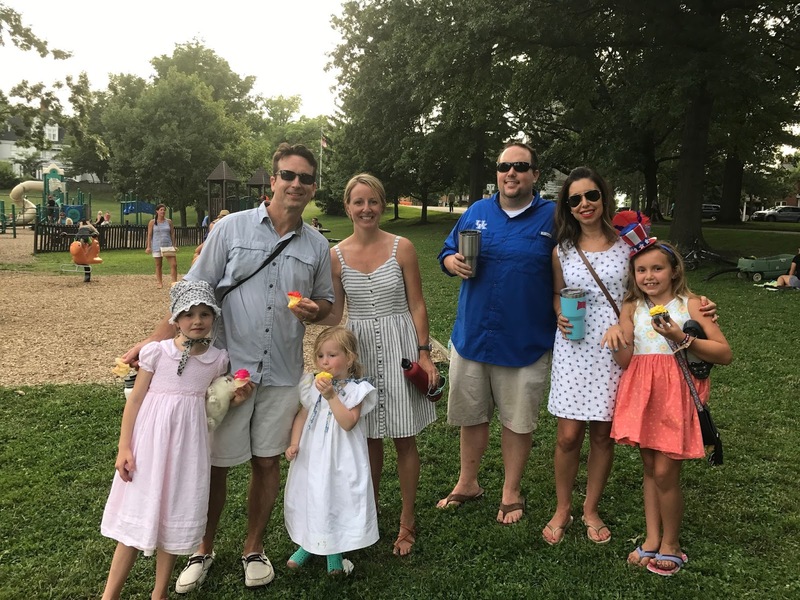 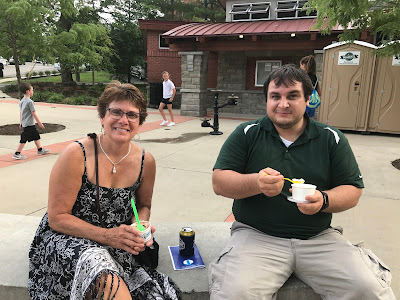 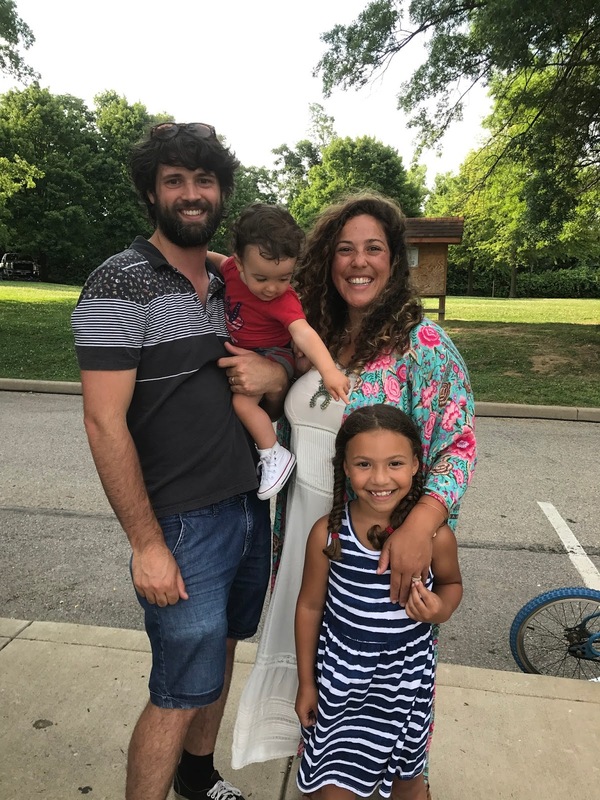 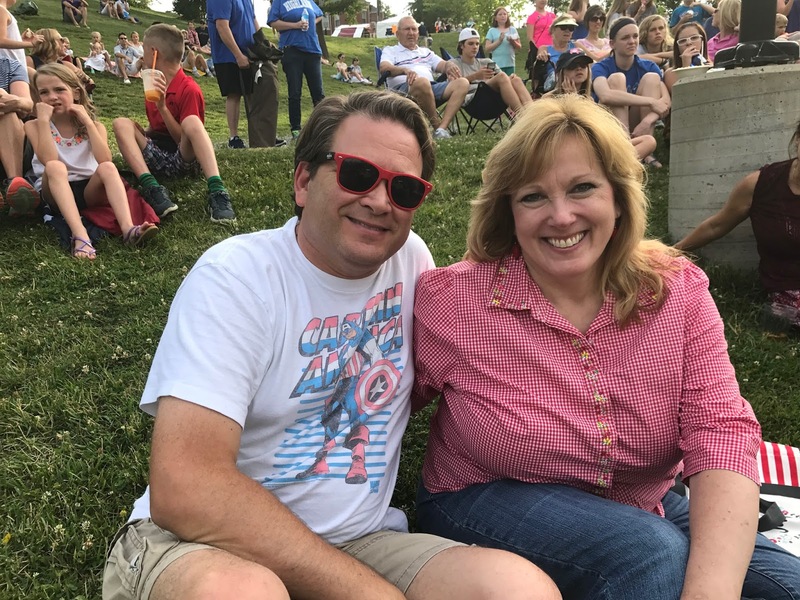 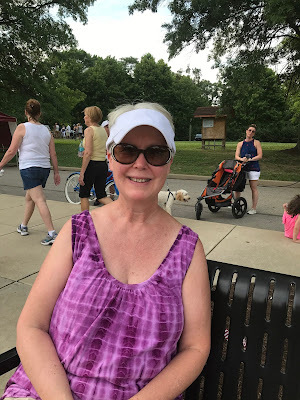 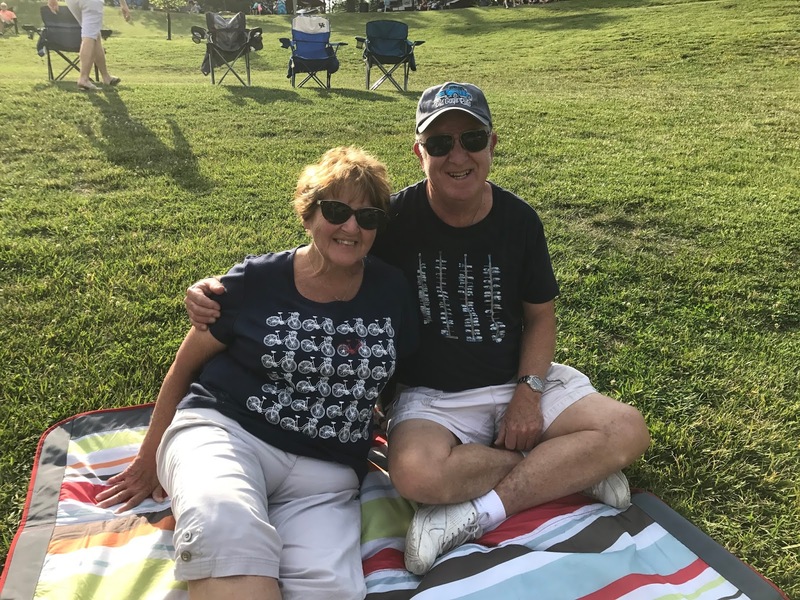 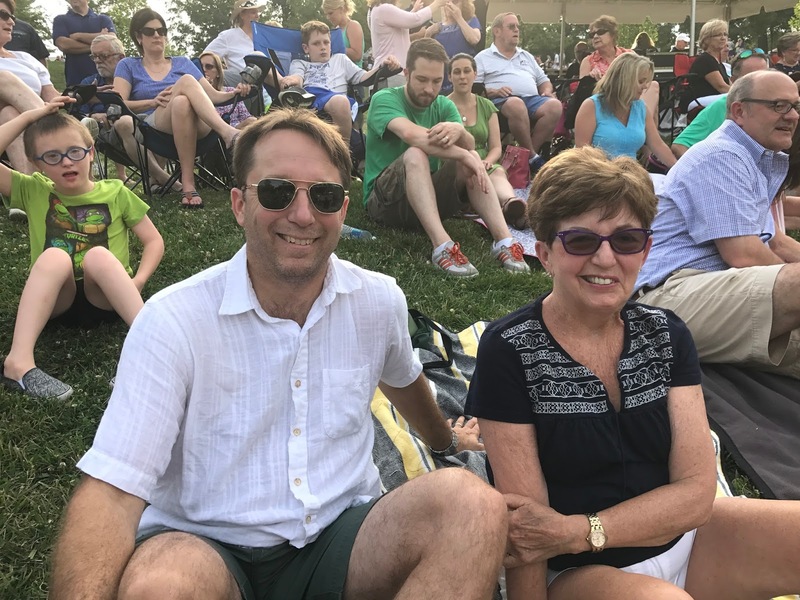 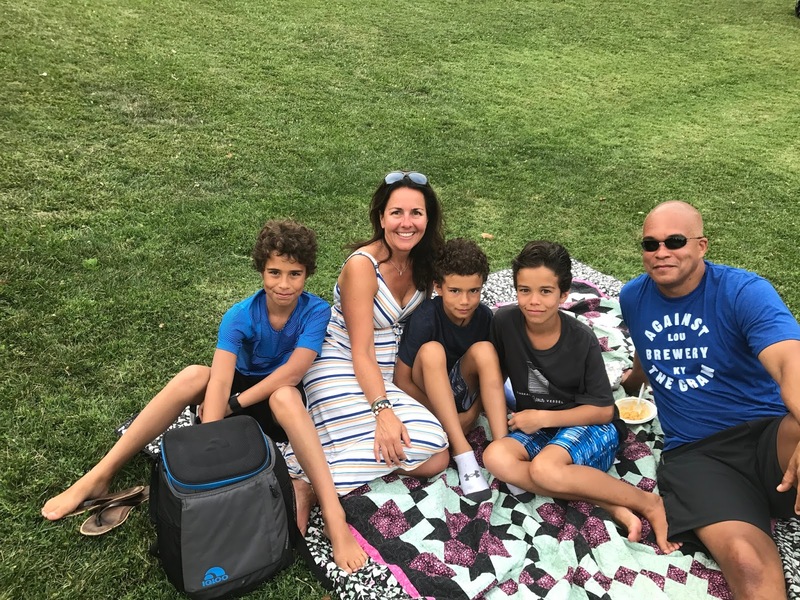 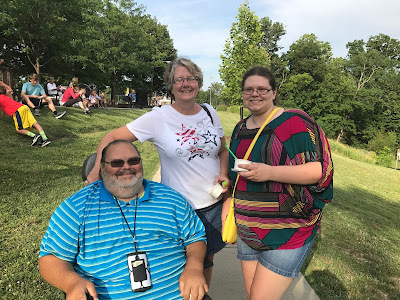 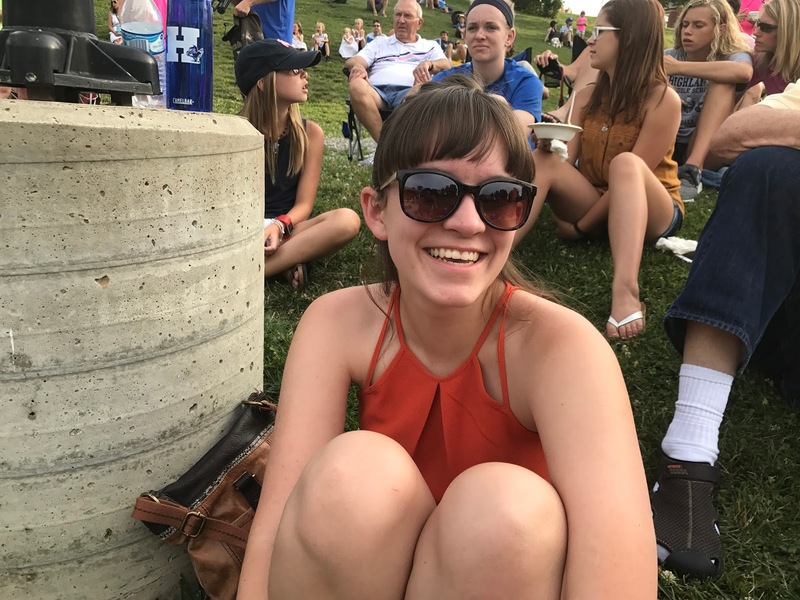 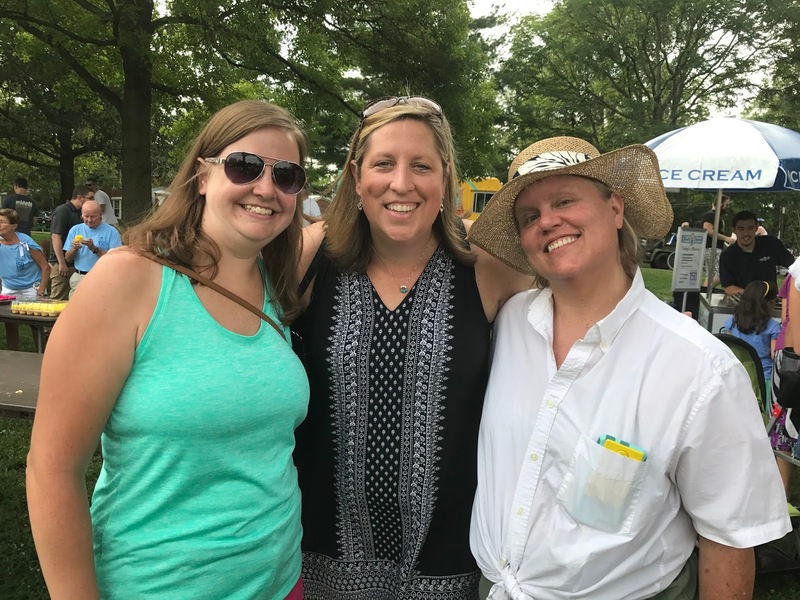 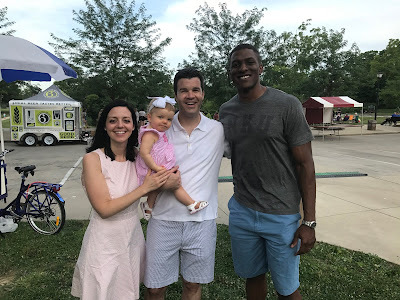 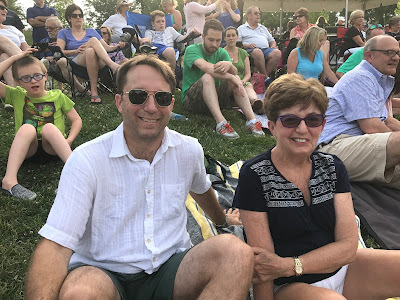 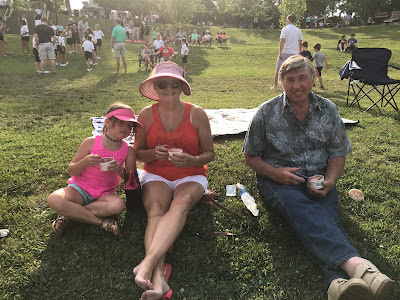 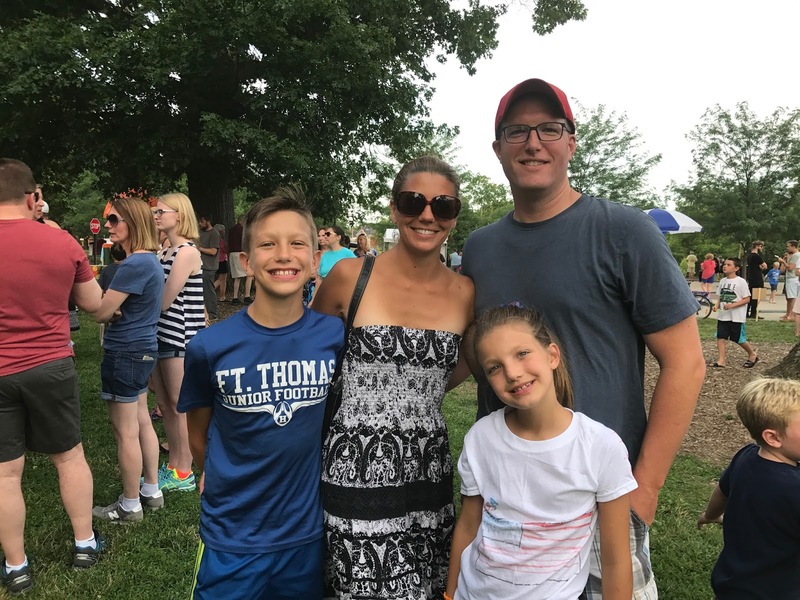 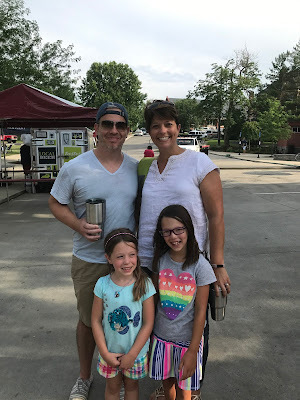 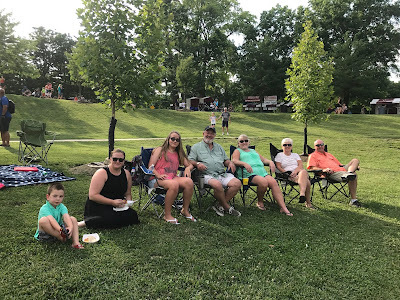 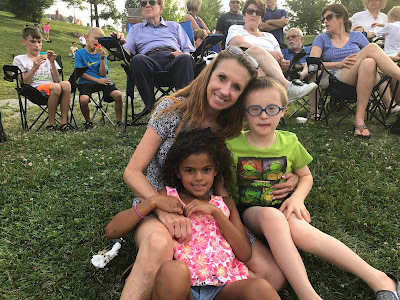 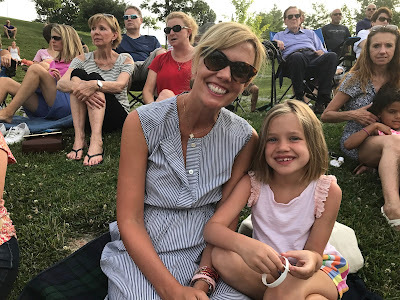 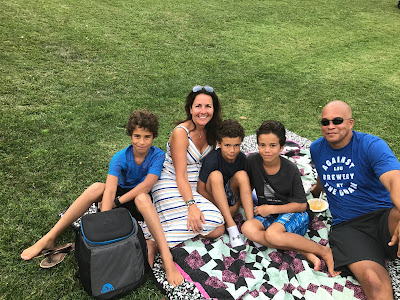 Here we share pictures of some of the many folks who came out to Tower Park to participate in just some of the evening's activities. 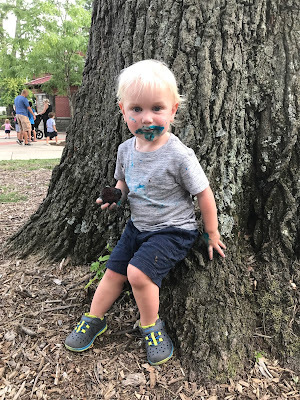 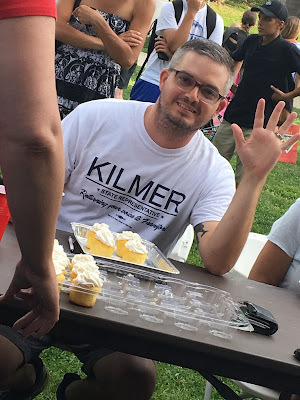 Winner of the Cupcake Eating Contest!